It's that time of year again for proposals and vacation planning. 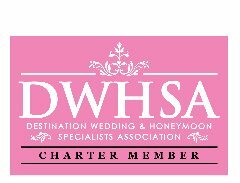 Don't forget us for your honeymoons and or Destination Weddings, or if you're in Louisiana, your wedding planner. Be sure to follow us on Pinterest and Facebook for ideas and specials. We are also affiliates of Gabriel & CO NY fine Jewelry if you're looking for that perfect engagement ring or other fine jewelry. Be sure to check it out. Welcome to The NolaCaribe Connection! We are your one stop shop for all of your travel needs. We have been in the travel business for over 40 years and can help you enjoy the vacation of your dreams. 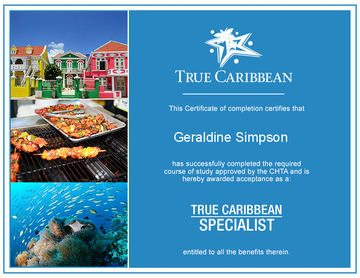 We are specialist in Caribbean travel and Destination Weddings, but can send you anyplace you'd like to go. Whether it is business travel, leisure travel, cruises, all-inclusives, girls get-aways, mancations, honeymoons, eco-tourism, spas, casinos, or simply a few days of leisure. We can help you get the most out of your time and money. To see many of the specials we have to offer, you can begin by visiting our SuperClubs, Sandals, Latour or Funjet Vacations pages by clicking the logo below or above in the index. To get a quote, just tell us what you want and we can personalize it for you. Don't see what you're looking for there or looking for a cruise, you can visit our Services page and fill in the request form there. Be sure to check back because new features and specials will be added on a regular basis. 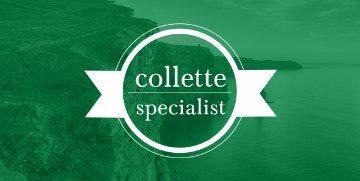 We promised new features, well we have added Collette Vacations to our collection as well as Classic Vacations for your convenience. We are also very proud to offer you the convenience of booking your Starline Tours in Los Angeles, New York and other locations through us. 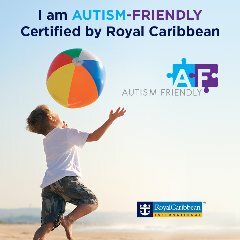 Just look for the banner on this site and click it to see all they have to offer..
You like the ease of chartered vacations, but still like to do your own thing. Well here's another choice for you. Vacation Express offers both chartered adventures as well as independent vacations. They are also the folks that bring to you the Hard Rock Hotel Collection of venues as well. So be sure to check them out or give us a shout. Can't find what you want in villas under the Villa Collection let us know. We have more. Yes we still feature GoGoWorldwide Vacations, but you must contact us with your requests. Watch our page for weekly sales. 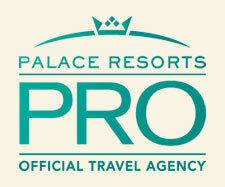 We now also feature MLT Vacations which includes Delta Vacations and United Vacations. Just go to the MLT page and click on the logo link. Remember we are here for you, but these added features can help you relax in the comfort of your home and decide where you want to go and have the convenience of doing it yourself or contacting us and letting us do it for you. Going to New York and London and need Broadway show, sporting events, concert tickets or would like to do dinner and a show? Give us a call we can get them for you, that includes last minute and hard to get tickets. Want to do a tour of the Grand Canyon? 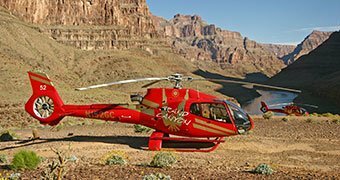 Ask us about the Grand Canyon tours or click on the logo in the left margin to visit the grand Canyon Helicoptor tour. 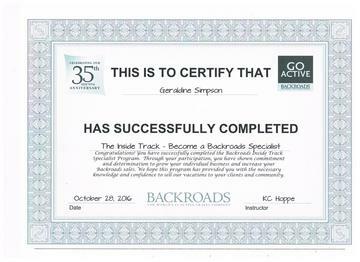 As of October 2016, we are now offering BACKROADS TOURS for the active traveler worldwide. Contact us for more info or a brochure or visit the Backroads page here on our site for a list of tours being featured or travel dates available. 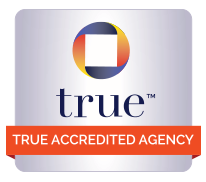 With all of the uncertainty in the world today, you want to protect your hard earned vacation with travel protection. Like anything else you need to read the fine print. We are now offering you travel protection to suit your needs. Be sure to check out our TravelSafe Insurance site for that safety net in case something goes awry or if you prefer, We also offer ALLIANZ travel protection so we've got you covered. For those of you that like to add a little spice in your life, we've added something new just for you. The Original Resorts that cater to ADULTS ONLY, CLOTHING OPTIONAL, etrc. You get the picture. Be sure to check out our ORIGINAL RESORTS page and click on the lins to the TEMPTATION RESORT SPA IN CANCUN, THE DESIRE RESORT & SPA IN RIVIERA MAYA or if you want to cruise DESIRE CRUISES. we stold you we are your one stop shop for travel. AS OF JULY 13, 2010 THE COST OF US PASSPORTS HAVE INCREASED TO $110.00 AND A $25.00 EXECUTION FEE. IF YOU PLAN TO TRAVEL OUT OF THE US, YOU HAVE TO HAVE ONE, NO IF'S ANDS OR BUTS! Rather talk to us! Just give us a call and we would be more than happy to assist you with your plans. Looking for special items for your Destination wedding or local wedding, visit our other site http://www.gsimpassocs.com/. Check out our Blog and we certainly encourage you to add your comments. Visit us often as we are always looking to add more exciting features for you our valued client. We have been chosen as one of the 100 Jazz Cruise Specialist to sell the Full Chartered Jazz Cruises.For more info please see our Jazz Cruise page and/or call us to book for 2019. 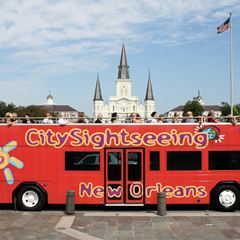 Please feel free to call us at (504)909-1318 or email us at nolacaribe@aol.com for info right away. Deposits will soon be due, so you need to hurry. See our page on this site for pricing and lineup . Same ship sailing roundtrip from Ft. Lauderdale going to San Juan, Nassau, St. Maarten and Half Moon Cay. For those of you that remember the "Sock Hop Days", there's also the "Malt Shop Cruise featuring Chubby Checker and plenty more. Join us to twist the night away. The Soul Train Cruises featuring all of your old school favorites was added in 2013. Visit our site to see that lineup as well when it is completed. We also do destination weddings, honeymoons and all of the other good stuff and we are ready for you! Don't forget to look for our specials, and there are many. Check our upcoming events page and each individual page for all of the good things happening whether you are interested in a cruise or a land stay. Confused by it all, just call or email us! You can now follow us on Facebook, Twitter and Pinterest. Just click on the approprite logo in the upper right corner to follow us. Be sure to "like" us so you can keep up with the many happenings and specials. You can also refer us to your friends and family by "sharing" from the left margin of this site. We greatly appreciate your business, so watch for specials just for you. We are the official travel agency for Friends of Culture and it's annual Caribbean Carnival Festival " Bayou Bacchanal" the first Saturday in November every year. Also watch for other events taking place during the month of June for Caribbean/American Heritage Month. Check out our "Upcoming Events" section for more Caribbean themed and other events. "Starting soon some commercial airlines will stop handing out immigration forms aboard their airplanes, we highly recommend you fill out the form(s) online now so you don't delay your immigration process when you arrive in Mexico." If you are visiting Mexico you need a Tourist Card which is an Entry Immigration Form that details information about your visit to Mexico. The Tourist Card isper person regardless of age and how long you will stay in Mexico. The information you provide in the Tourist Card is kept by the Mexican Immigration Authority as an official record of your visit to Mexico. 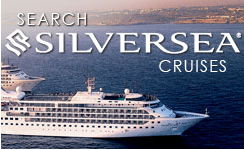 *Note - All rates quoted for MSC cruises are for US and Canadian clients only. 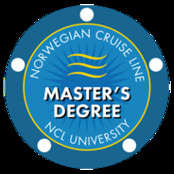 Click on the youtube link here to see the brand new MSC SEASIDE. It is an amazing ship. You asked and we're answering. 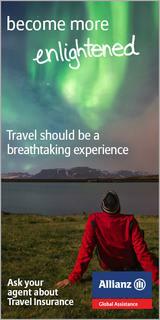 We are now offering singles travel from BEST SINGLE TRAVEL to all parts of the globe. 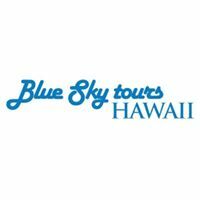 Click on the link in the index to visit our page listing all of the tours and cruises offered for 2018 and 2019. For more info please do not hesitate to contact us. We are also adding your opportunity to find that perfect traveling outfit from Naked Zebra right from our site. Just click the link and shop to your hearts delight. For the month of March Naked Zebra is participating with Children's Hospital of Los Angeles for Make March Matter and is donating 10% of their total web sales at the end of March. 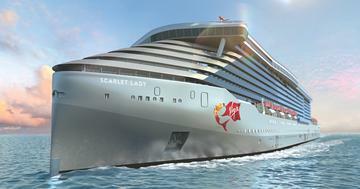 We are proud to announce that we are now a Virgin First Mate selling Virgin Voyages, a one of a kind cruise experience. Watch us for more info to come. "Your one stop shop for travel"